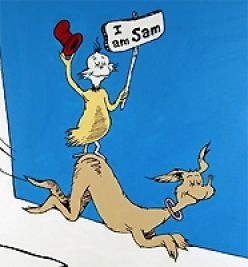 The story, Green Eggs and Ham by Dr. Seuss, is over sixty years old, but the concept is still relevant in today’s society. An obviously different type of “normality” is applied in current day, but the message is clear — Acceptance. 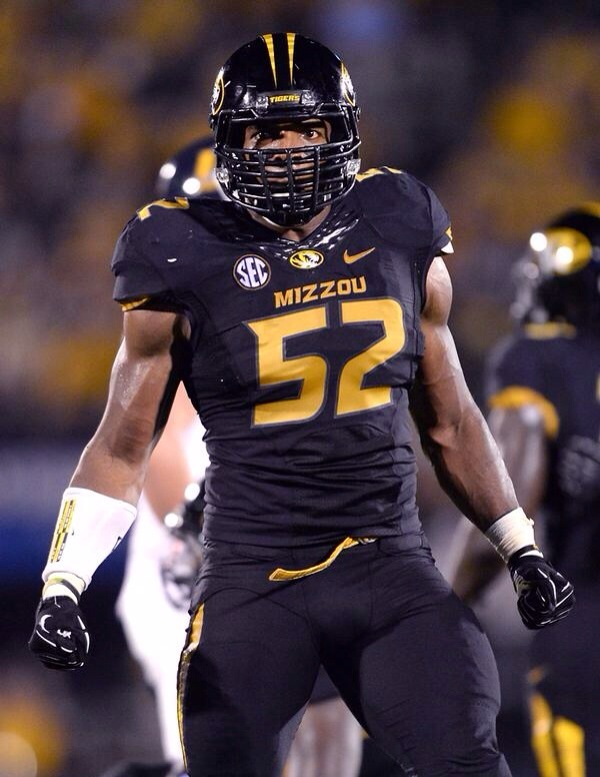 Former Collegiate All-American and Missouri Tiger Michael Sam officially announced to the world he is a homosexual. The timing of the announcement has created a conversation on the sociological experience of cultural acceptance. Only this is with a professional athlete and the variable is the NFL — which happens to be the most narcissistic subculture in the world. Forced to deal with an issue before you are ready rather it be death, illness, childbirth or relocation; one always has to ask themselves “am I ready.” You can never plan for an unscripted change in life, but the reaction to said change will reveal to the world what you are made of. The reaction from the league has varied from full acceptance(NFLPA) to it heavily affecting the chemistry of the locker room (Huffington Post) to his draft stock dropping (Chad Johnson). The reality is that a combination of the opinions will be what occurs. I would not like them here or there I would not like them anywhere. Playing for a Top-10 team in a competitive SEC, those stats probably will earn him a draft grade between the 2nd and 4th rounds depending on team needs. The media circus of the NFL seems, at its initial stages of this conversation, to be gun-shy in adding this element into its fold. Most concerns are being linked to the locker room affect from the players, but alot of the hesitation appears to be coming from anonymous execs, who would be responsible for dealing it from a Public Relations point of view. In today’s world acceptance and tolerances of differences appear to be at an all time high, but incidents like this, the Richard Sherman interview, Richard Petty’s comments about Danica Patrick and the Marcus Smart/fan incident during the Texas Tech/Oklahoma State college basketball game lead me to believe otherwise. A man’s intestinal fortitude and belief system are tested in difficult times and the NFL is bracing itself for a media jab to the testicles. This isn’t a bashing session, as some of my previously controversial views have evolved over the years, but I still acknowledge the human element in this story. In big business the human element is rarely part of the equation players and coaches are pawns on the way to the goal of a checkmate in the form of a Championship. The events leading up to the NFL Draft and the upcoming season can determine how much the NFL and sports in general have evolved into the 21st century. 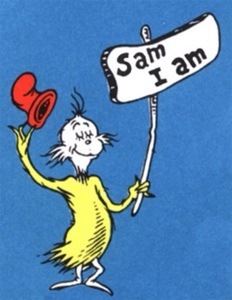 I do like them Sam I am! Why is anyone’s sexuality important? Why should he have said anything about his orientation? Sadly people feed into this acceptance stance when it comes to something no one should be subjected to. Born or choice either way it’s your personal life. Now take stock in what was said, personal life. Have people sacrificed privacy of personal life for a mundane war against what a solidified definition is and for fame. The status quo, with the exception of financial wealth, in American culture is predicated on what cards are stacked against you and how you overcome these barriers. The problem with the current situation is that it’s not a barrier unless one makes it a barrier. Every time someone announces a private aspect of their life that is counter culture it becomes a barrier. In short, this man is a man who chose to tell the world about his private life. Whatever becomes of his career because of his choice to reveal his most inner feelings is his fate. No one should be subjected to anyone’s sexuality if not queried. In the grand scheme of things it isnt, but when you are a person of status your privacy is no longer yours and anything you do publicly or behind closed doors can be found out and will be scrutinized. Say he didnt say anything, gets drafted and somehow it comes out in a less than favorable manner, then he faces the backlash of his lifestyle choice as well as being secretive about it.